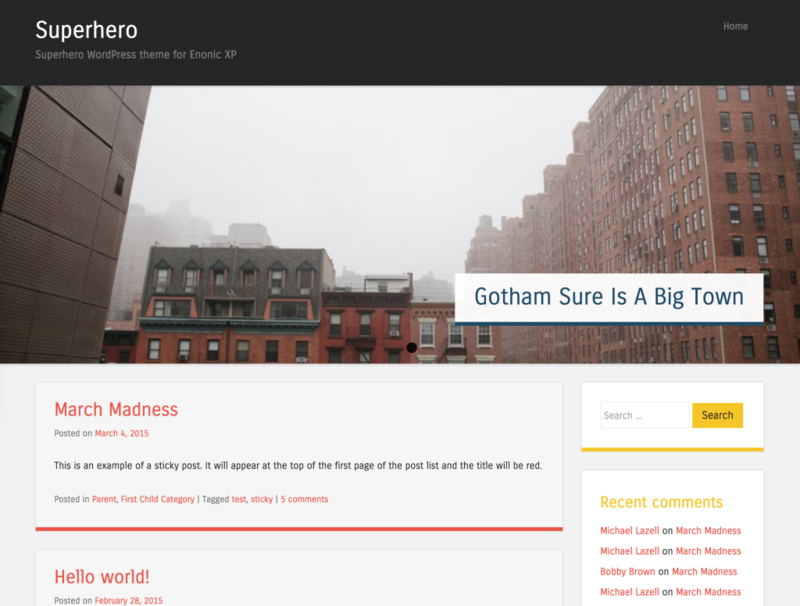 Create your very own Superhero theme blog to run on Enonic XP. Had to release a 2.0.0 to work with early versions of XP 7.0.0. This version is built with 7.0.0-A1 of XP. Updated gradlew to version 4.8 of gradle. Posts can now be manually added to the Featured slideshow by editing the Featured part config. This will override posts that were added with the Slideshow checkbox. Posts with "Slideshow" checked will not appear in the post list. 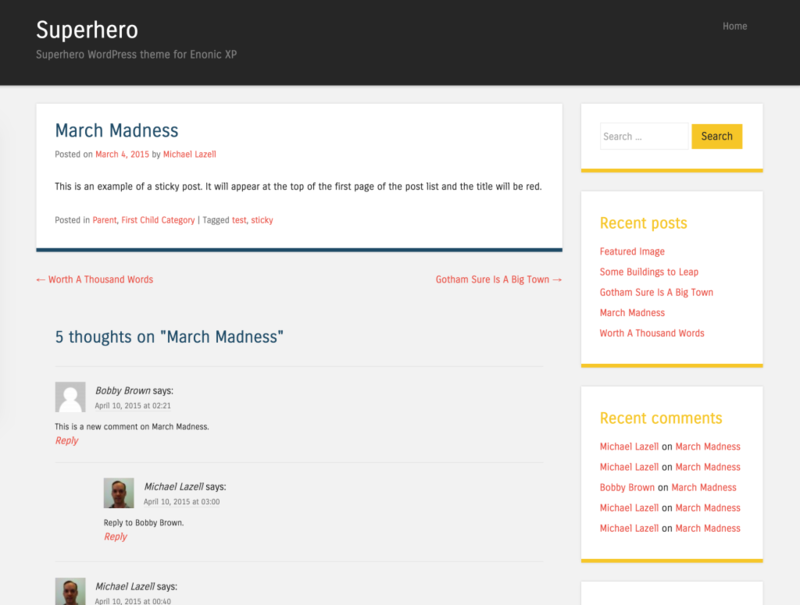 Manually added posts will appear in the Featured part and the post list. Changed the app name to com.enonic.app.superhero. Updated to use XP 6.3.0 libraries. Added path filters for post content to avoid selecting authors and categories from other sites. Added x-data menu mixin to the Post content type so an individual post can be added as a page in the menu. Fixed a fieldset label for the Author content type. Changed the demo content "Owner" to the Super User and other minor changes to the way the demo content is imported. Updated the gradle wrapper to version 2.8. Added meta part with login link and configuration for adding other links. Added login page and "change password" page. Changed the way comment contents are named. Comments are now created with Ajax. Get 5 days free hosted version of "Superhero Blog" application for Enonic XP.